At a recent awards banquet at Southfork Ranch, the Collin County Association of REALTORs® named Tom Branch as the 2013 REALTOR® of the Year. The REALTOR® of the Year is the highest and most coveted award that can be bestowed by one’s peers. This award is based on the outstanding contributions of a REALTOR® to the Collin County Association of REALTORS®, the Texas Association of REALTORS® and the National Association of REALTORS®. The recipient must demonstrate what is called “REALTOR® Spirit”, which is embodied by faithfulness to the principles of the REALTOR® organization, professionalism, and the Code of Ethics. Tom was also sworn in during the ceremony as a returning member of the 2014-2015 Board of Directors. Southeast Frisco is booming with new home construction! Just north of Richwoods sits 143 prime acres soon to be Lawler Park. This community is just a few miles north of HWY 121 between Independence Pkwy and Coit Rd. 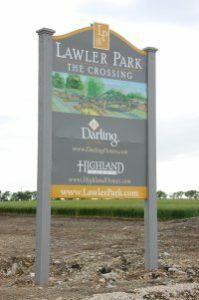 Currently there are two highly respected new home builders slated to build in Lawler Park – Highland Homes and Darling Homes. Lot sizes vary and prices will range from the $400s to the $700s. Once built out, Lawler Park will be home to around 348 families. Within Lawler Park will be two distinct sections – The Arbors at Lawler Park and The Crossing at Lawler Park. The Arbors will feature patio/zero lot line homes starting at roughly 2,440 square feet. The Crossing will have front entry homes beginning at just over 2,900 square feet. Both sections will be zoned to Exemplary Frisco ISD. 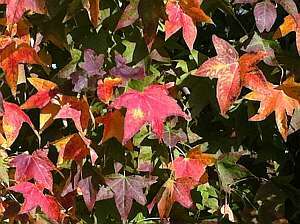 The model homes at Lawler Park should be ready in October, 2012. 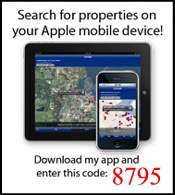 However, we can help you select your dream home site now! 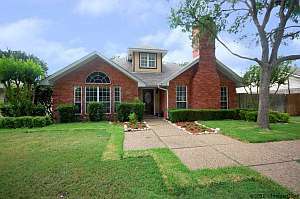 This premier location is close to shopping at Stonebriar Mall, the Allen Outlet Mall, and The Shops at Fairview. Numerous restaurants and entertainment venues are also close by. If you’re looking for a NEW home in exemplary Frisco ISD, you might want to check out Sorano Estates. After you pass through the grand entrance, you’ll discover large home sites nestled along winding streets with cul-de-sacs. First Texas Homes offers 11 luxury home designs in Sorano Estates, all Energy Star Certified, and starting in the $280s. Families will enjoy the parks within the neighborhood and the peaceful atmosphere of a smaller community. Location is a big plus for Sorano Estates, situated just three miles north of Highway 121 on Independence. This prime location is close to three golf courses, retail, restaurants, and entertainment. There are a few homes already available, and building lots are going fast. Now’s the time to pick your perfect home site before they’re all gone! Click here to view all homes for sale in Sorano Estates, Frisco, Texas. 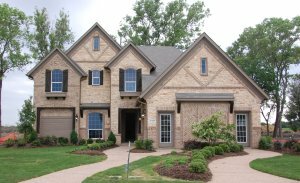 Click here to search all homes for sale in Frisco, TX. If your dream is a luxury home nestled in a gated community with a premier location, we’ve got your answer. With 500 acres of prime land in southeast Frisco, Richwoods will be home to 1,600 families. Location, location, location! Richwoods is just north of Highway 121 and just west of Independence Parkway. You’re minutes away from shopping, dining, sports, entertainment, and all the north Dallas suburbs have to offer. Planned amenities include a resort-style pool, club house with fitness center, walking trails, parks, and playgrounds. Richwoods is in the exemplary Frisco ISD and a brand new middle school is under construction adjacent to the community. Home sites will vary in size offering luxury homes priced from the $300s to the $700s from top builders Toll Brothers, K. Hovnanian Homes, Landon Homes, and Newcastle Homes. Some of the builders are pre-selling already and will provide $1,000 towards upgrades of your choice. Prices will rise as the community begins to build out. Now is the time to choose your lot and features for your new home! New Year’s Day 2012 was cool and crisp and snow-covered as we wound our way to the top of the mountain 18 miles outside of Santa Fe, New Mexico. Above 12,000 feet the air is very thin and I could feel myself starting to breathe heavy. When you’re used to being near sea level, this increase in altitude has a definite impact. 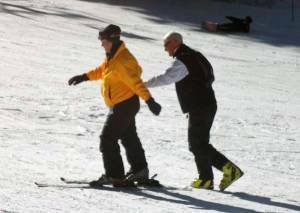 I was excited to try my hand at skiing again, but since it had been 25 years, ski school was a must. After half a day, I was ready to head downhill, at least a small hill. Most of the skills came back just like riding a bike. The view from the chair lift was beautiful. Many of the snow covered trees were still green and the fresh snow glistened in the sunshine. There wasn’t a cloud in the sky and the journey to the bottom was invigorating. I can’t think of a better way to ring in the New Year than pointing the skis downhill and feeling the cold breeze on your face. The Ski Santa Fe facility was near perfect with short lift lines, reasonable prices, a nice cafeteria, a great ski and snowboarding school, and breathtaking scenery. The best part was sharing the experience with my husband and close friends. I can’t wait to visit again! 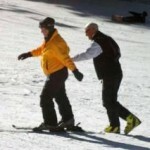 Click here to see more photos of the trip to Ski Santa Fe.